3) Shrink as well as tear resistance. 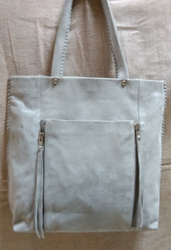 Leather unlined tote bag with additional pouch. 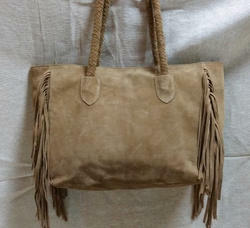 We offervarities of bags with Genuine Leather, Cotton, Suede, Vinyl etc. and offered these at very competitve & market leading prices. We emerged as highly reputed manufacturer and exporter of Men and Women bags that are acknowledged admidst our clients for excellent durability and visual appeal. Quality being the overriding concern for our organisation. We use finest grade leather to offer these bags in plethora of attractive colors, designs and sizes to suit the demand of our clients. 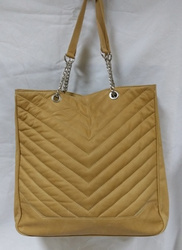 We are a leading supplier & manufacturer of stylish handbags. Packaging Details: packed in poly bags. We offer this Perfect bag for travel or everyday, this spacious, leather-trimmed shoulder tote is crafted from soft quilted genuine leather with the following features. We represent our core commitment to creating handsome style in fashion, besides ensuring premium quality & standard. 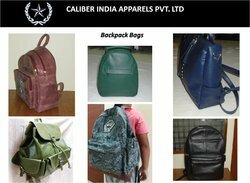 The company " Caliber India" complements the fashion statement in a unique way to help customers cherry pick from myriad collection & feel better & look better. It is not only about our elegant collection of leather bags, but being marked down to be more than just a jacket or a bag, as setting a benchmark for quality & style.